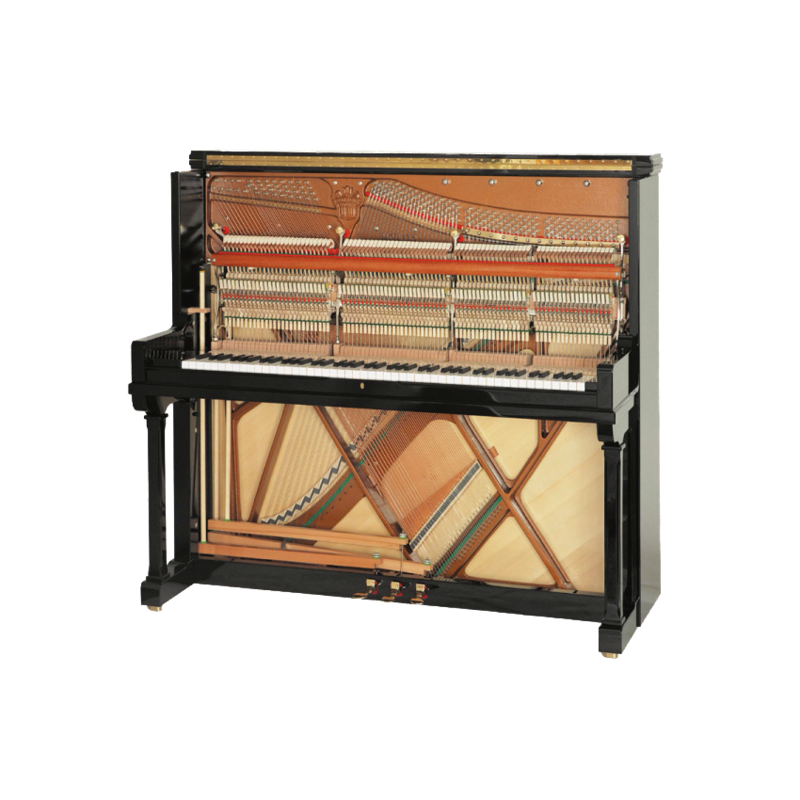 Model 138 is the largest (upright piano) on the world market and sounds like a 6-foot salon grand. With its latest refinements, this top-of-the-line model achieves an exclusivity that wants for nothing, and was named ‘world’s best’ in Paris. In music conservatories, small halls, and even in churches this upright replaces grands, to which the motto, “Better a top-notch upright than a mediocre grand,” applies! Available upon request with stronger dampening for chamber music. Deliverable as Models 138 K Classic and B Baroque.